Good food doesn’t need to be fancy or expensive–in fact, over the years I’ve learned that sometimes the simplest meals are the best. Take, for instance, this Spinach Chicken Parmesan Pasta. Literally just a handful of ingredients come together in a superbly flavored dish. 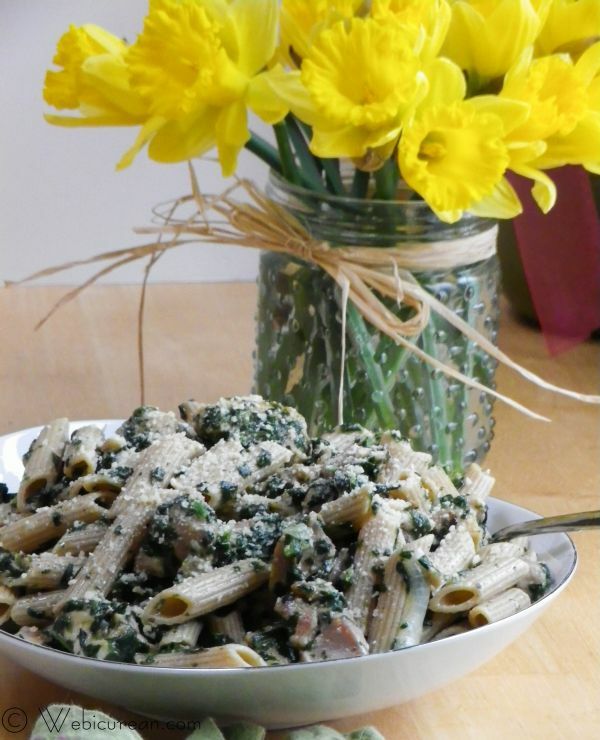 Plus, you’ve got at least three food groups going on here–there’s whole grain pasta, chicken for protein, spinach for your veggie… add a glass of milk, and you’ve got just about everything a body needs. Best of all, you probably have most, if not all, of the ingredients on hand. All together, the ingredients cost less than $10, and this will easily feed four, with a little leftover for your lunch the next day. The fact is, we may not give it much thought, but finding recipes that can fit a tight budget is critical to lots of folks. There are far more people who cannot afford to put food on the table than we care to admit. But the numbers are staggering. 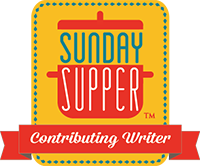 That’s why I, along with more than 200 other bloggers, decided to donate a post today to The Giving Table’s Food Bloggers Against Hunger cause. After watching A Place at the Table, it became obvious how much awareness needs to be raised. Sure, the media enjoys a good story about someone abusing the system, but that doesn’t represent the majority who are using SNAP to supplement their food budget–they’re simply trying to get by. What truly surprised me is that access to good, wholesome foods is out of reach, both physically and price-wise, for so many. We have the lion’s share of farm subsidies going to those producing processed foods (as opposed to fresh produce). And at the other end of the spectrum, we have consumers who have virtually no access to healthy food choices. It’s a multi-faceted problem with no easy solution, but one thing is clear–imminent cutbacks to SNAP will only make matters worse for those who rely on it, especially children and the elderly. Can one person really make a difference? Well, yes, and the inspiration comes from the daughter of a dear friend, who simply wanted to know why the (homeless) people she saw looked so sad. After her folks explained, Phoebe, who was all of five at the time, realized there was something she could do–rather than keeping the cash from all the cans they turned in each week, what if they donate that money to the local food bank? She approached her pre-school teacher about her idea to raise $1,000 with recycled cans and bottles, and while the goal seemed somewhat out of reach at the time, her teacher helped her coordinate the can drive. Even at this young age, Phoebe knew that five cents here and ten cents there can add up. And it did. As word got out, cans along with monetary donations started coming in, and by the end of two months, she had raised nearly $4,000 for the food bank, enough to feed about 18,000 people. But her story doesn’t end there. In fact, news about Phoebe’s project went viral, and donations started pouring in from all over … more than $20,000, in all, enough to feed 90,000 people. Ultimately, Tyson Foods recognized Phoebe as a “Tyson Hunger All-Star,” and it donated 15 tons of chicken to our local food bank. So, what can you do? Well, one simple place to start is to fill out this online form asking your local congressman to prioritize funding to the SNAP program and anti-hunger legislation. Contact your local food bank to find out how you can help, whether it’s by donating food or volunteering your time. As Phoebe has shown, every little bit counts. Find a screening of A Place at the Table in your local area, or rent it through iTunes, Amazon.com or On Demand. Slice the onions and crush the garlic, then set aside. 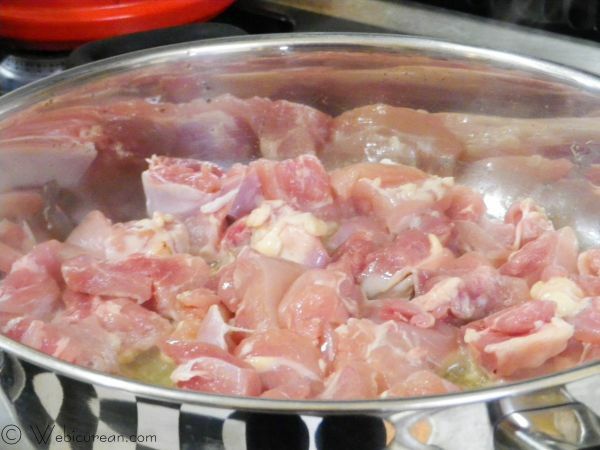 Cut the chicken into bite-sized pieces, then sautÃ© in the butter over medium-high heat until the chicken starts to brown. Stir in the onions and garlic, then cover and cook for about 5 minutes. Then add in the spinach, salt and basil, cover and simmer for an additional 15 minutes. Meanwhile, cook the pasta, drain and toss with the remaining crushed clove of garlic. 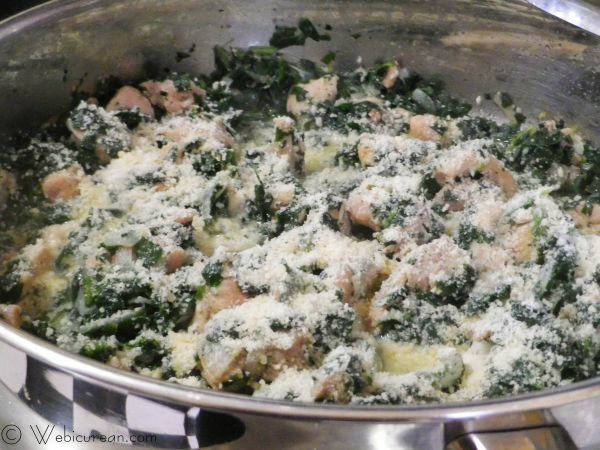 Sprinkle the Parmesan cheese over the chicken/spinach mixture, cover and let simmer a few more minutes until the cheese is all melty. Toss in the pasta, and serve immediately. 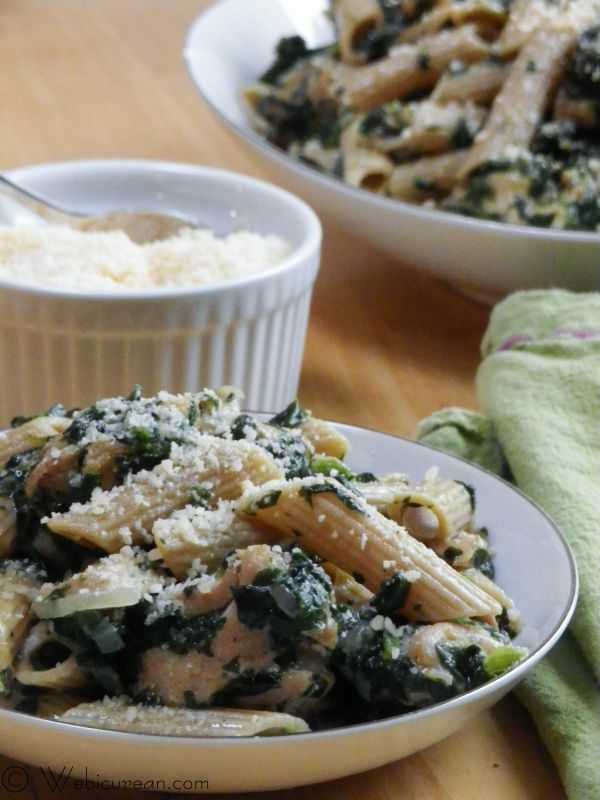 The combination of spinach, chicken, Parmesan cheese, and pasta blend wonderfully in this budget-friendly dish. Peel the onion, cut in half, and thinly slice, set aside. Crush 2 of the garlic cloves, set aside. Cut the chicken into bite sized pieces. Then, in a large skillet, melt the butter over moderately high heat. Add the chicken, and saute until the chicken starts to brown. 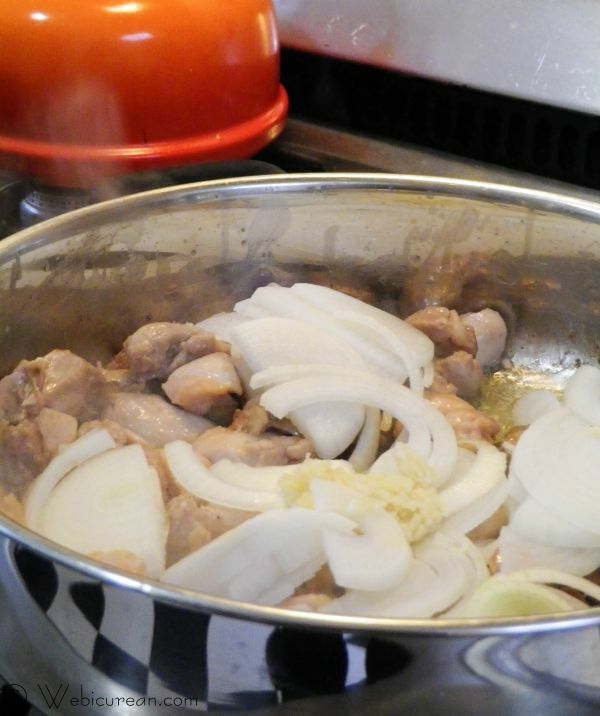 Add the onion and garlic, then reduce heat, cover and cook for 5 minutes. 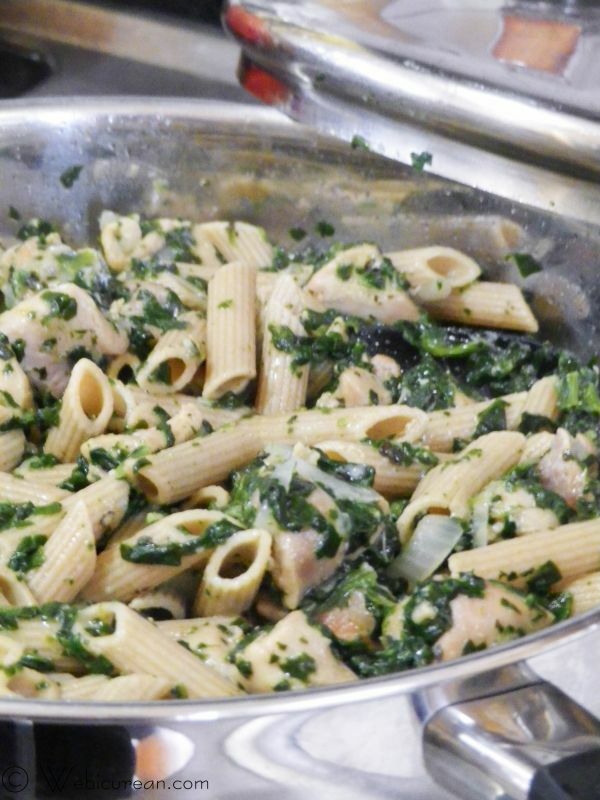 Uncover the skillet, and add the frozen spinach, along with ½ teaspoon of salt and the basil. Cover and simmer 15 minutes longer, stirring once in a while. Meanwhile, get the pasta going. Bring 4 quarts of water along with about 1½ teaspoons of salt to a boil. Add in the pasta, and cook for the recommended time on the package, stirring occasionally. 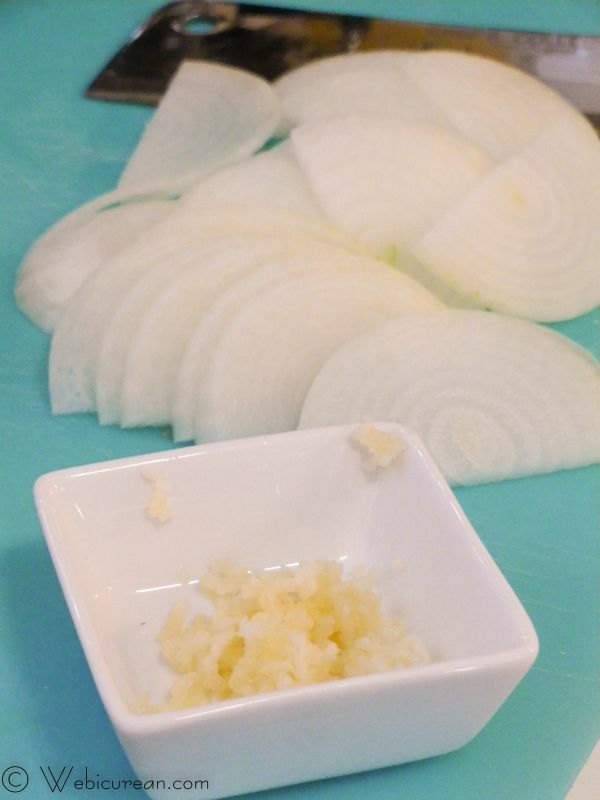 Drain thoroughly, then toss with the remaining clove of crushed garlic. When the timer on the chicken goes off, remove the lid, mix everything thoroughly. Sprinkle the ¼ cup Parmesan cheese on top, cover and simmer about 5 more minutes or until chicken is done. Toss in the pasta until well coated. Serve immediately with additional Parmesan cheese for garnish. Thank you for sharing Pheobe’s beautiful story. What an inspiring young lady! Thanks! I can’t wait to see what she does when she grows up! lovely food…it looks delicious. thank you for joinin us today!!! You’re welcome–it was my pleasure! Fantastic post! I linked to it on my blog today. I’ve been under the weather with a migraine so I missed what today was and thus didn’t have a post prepared. So I adapted my usual post to talking about this issue and linked to your post and others, hoping to spread the word. Thanks again for writing about this! Thanks, Julie! Sorry to hear about the migraines–I know what it’s like to be out of commission a few days because of them! You’re welcome! I imagine Phoebe will be doing great things in her lifetime! Great to join you in raising awareness for this important cause. Your pasta looks both tasty and nutritious. And I’m loving your beautiful daffodils! Spring has sprung…finally! Thanks, Liz! The daffodils were so pretty, I just had to work them into the picture! Love when bloggers join together to do good things. Plus there’s great food involved which is a total bonus. Enjoy! It may not look pretty, but it sure is tasty!